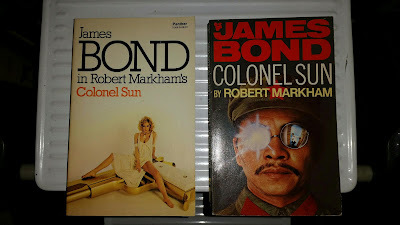 I received another English Second Language James Bond book in the mail today. This is the third ESL Bond book I've received in almost as many weeks. 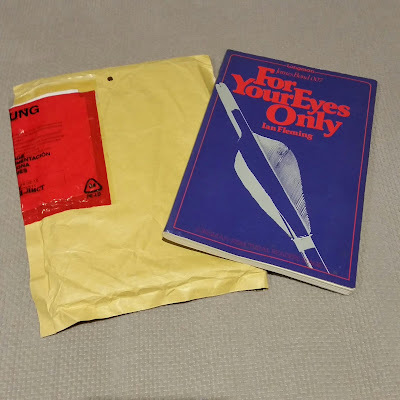 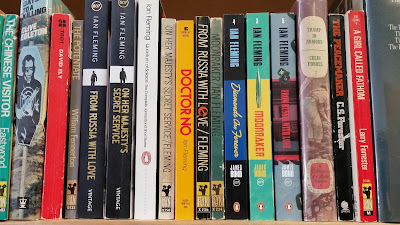 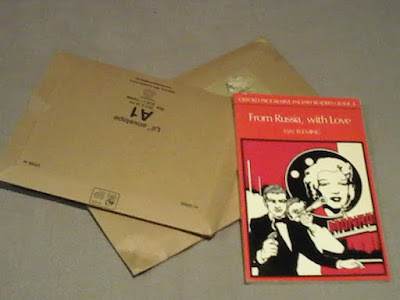 This particular copy of "From Russia With Love" was printed by Oxford University Press in 1978 and is the last cover in this set of three books. 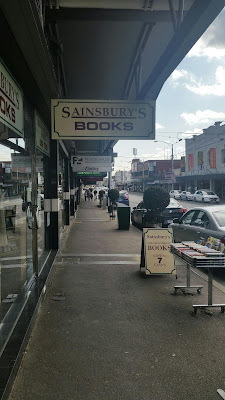 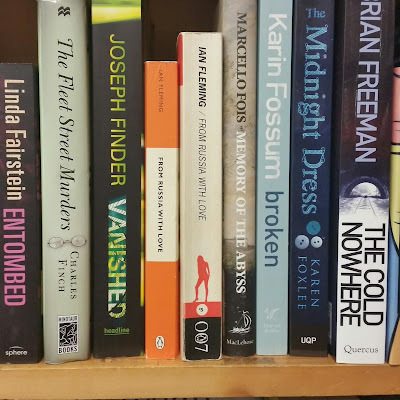 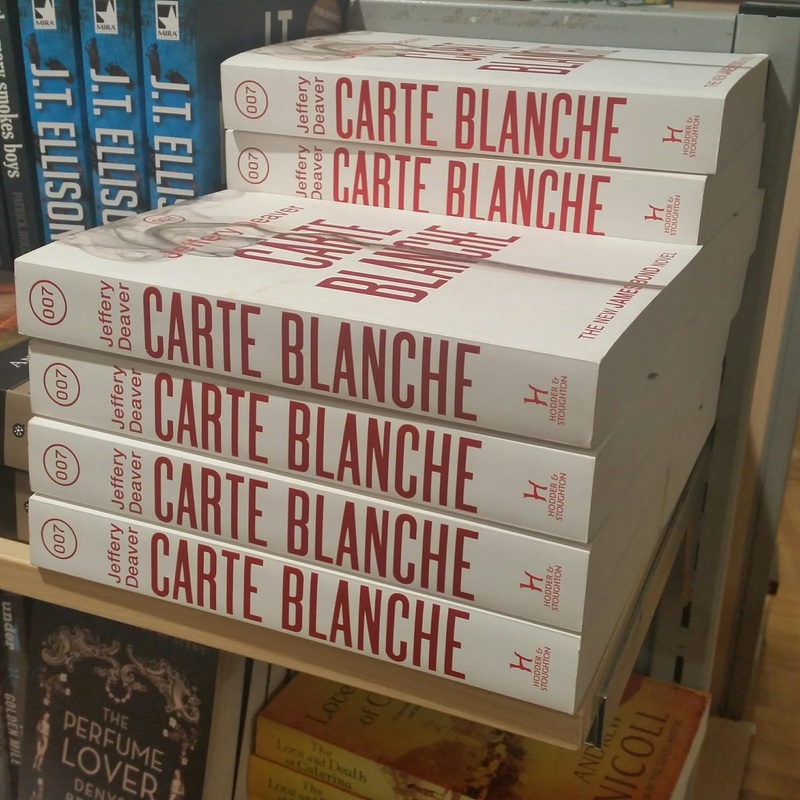 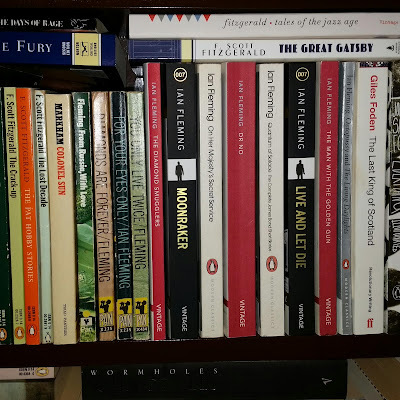 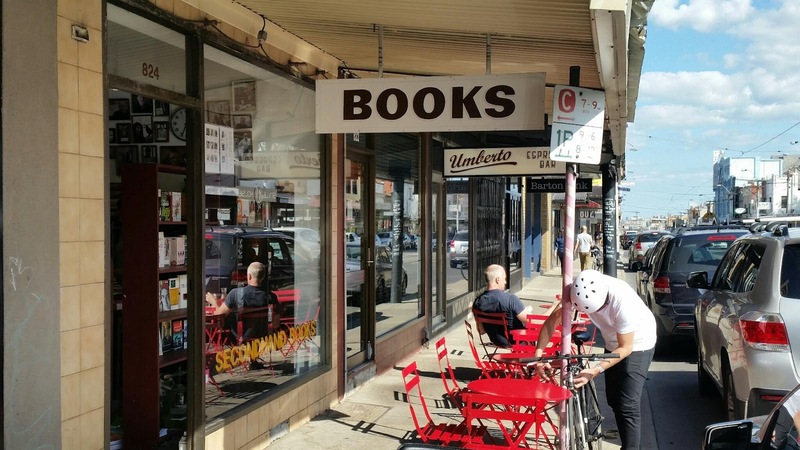 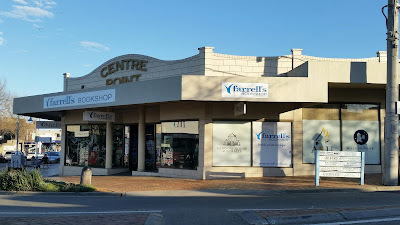 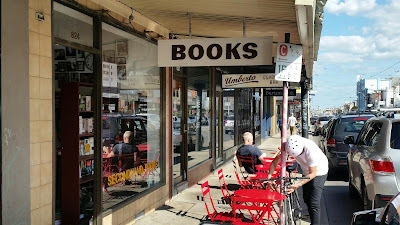 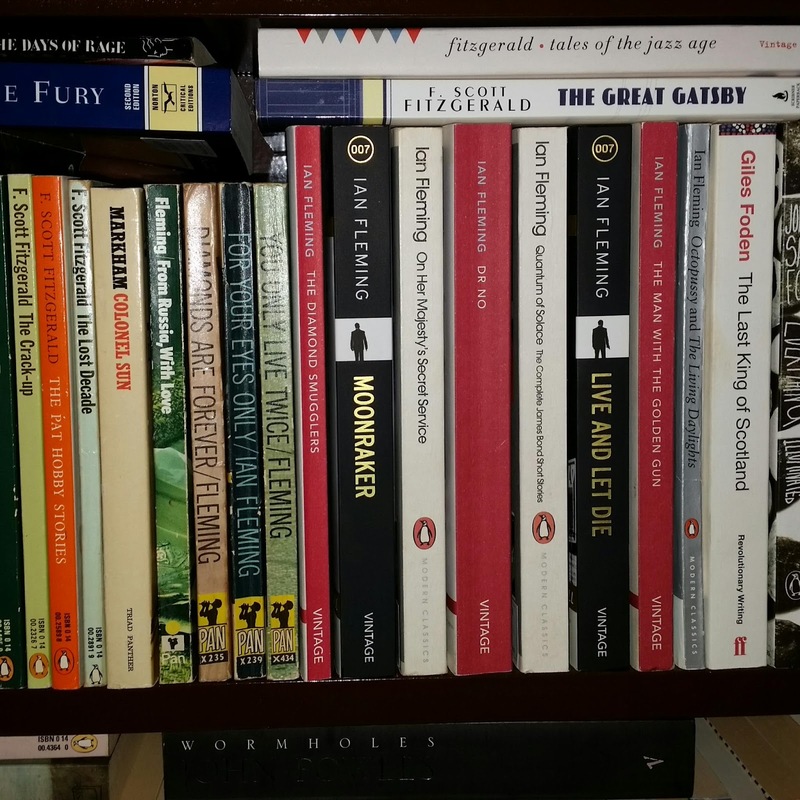 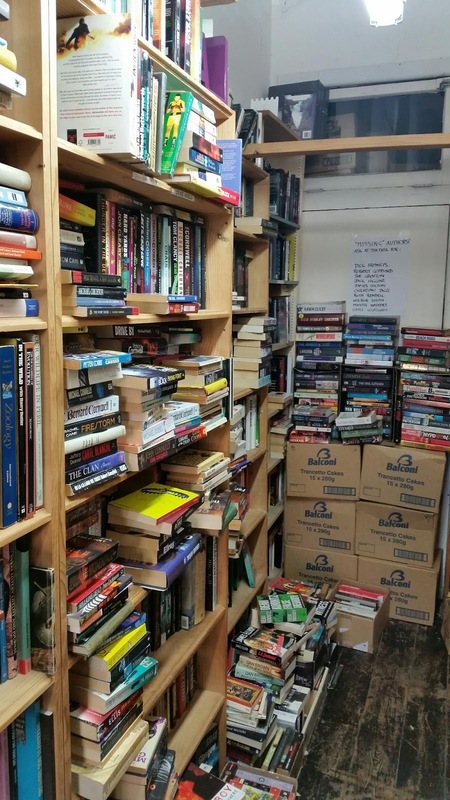 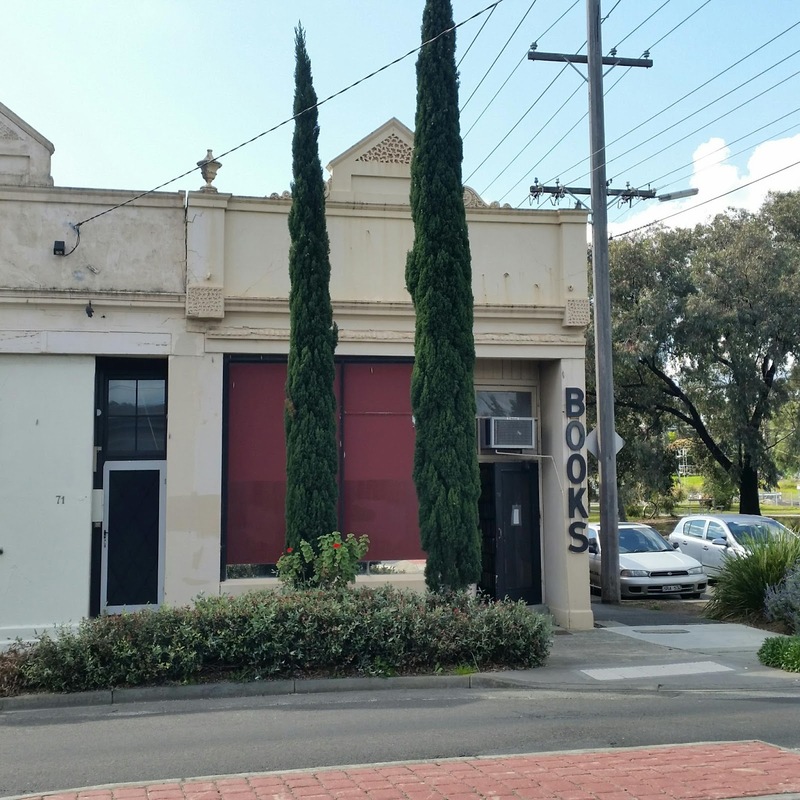 Just a quick blog entry about some book stores my wife and I visited last weekend after having lunch with my sister-in-law who's recovering from her recent stroke. 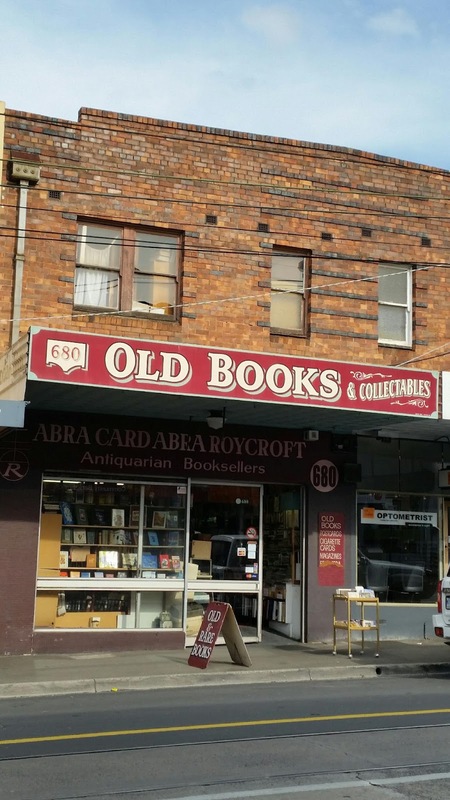 The first store we visited was Roycroft Antiquarian Booksellers - Abra Card Abra in Kew. After sliding the heavy glass door open and entering the store I was surprised to see Marion absent from behind the counter. 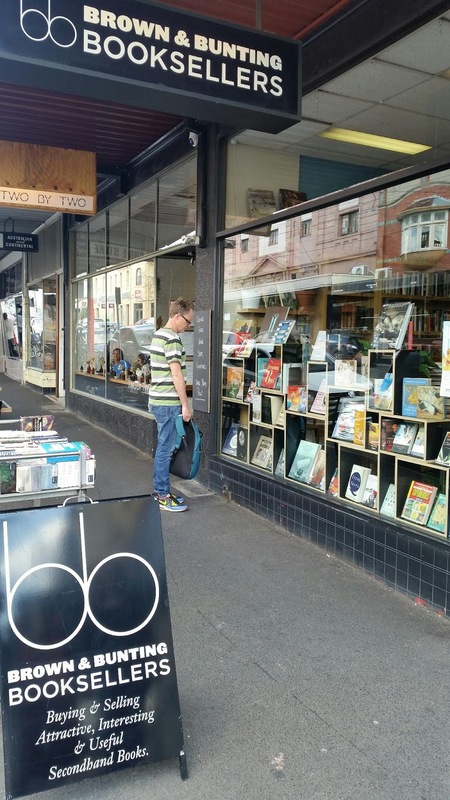 Concerned, I was told she was on holiday for a well deserved break. 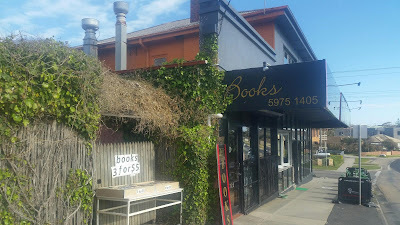 I asked the gentleman filling in for Marion his name and he told me it was Lloyd and he owned the store. 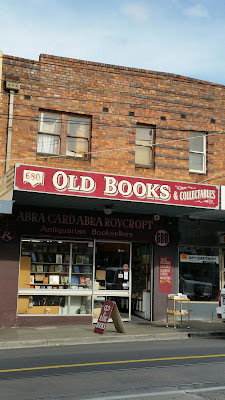 After many years of visits it was great to finally meet him and introduce myself. 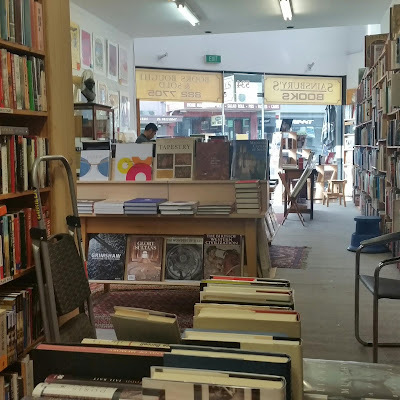 I explained about the PizGloria.com website and this blog (and my attempts to promote second-hand book stores including his own) and he thanked me. 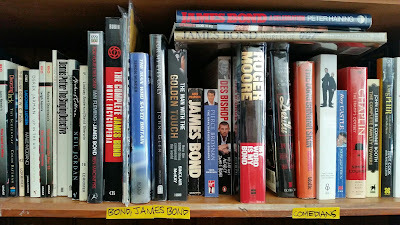 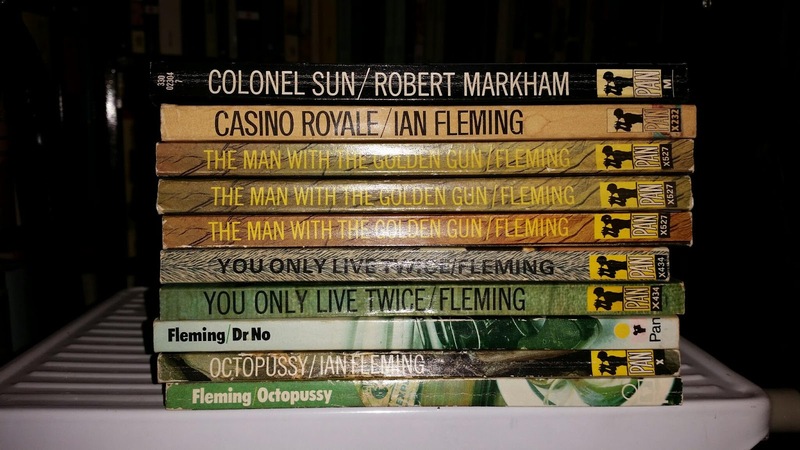 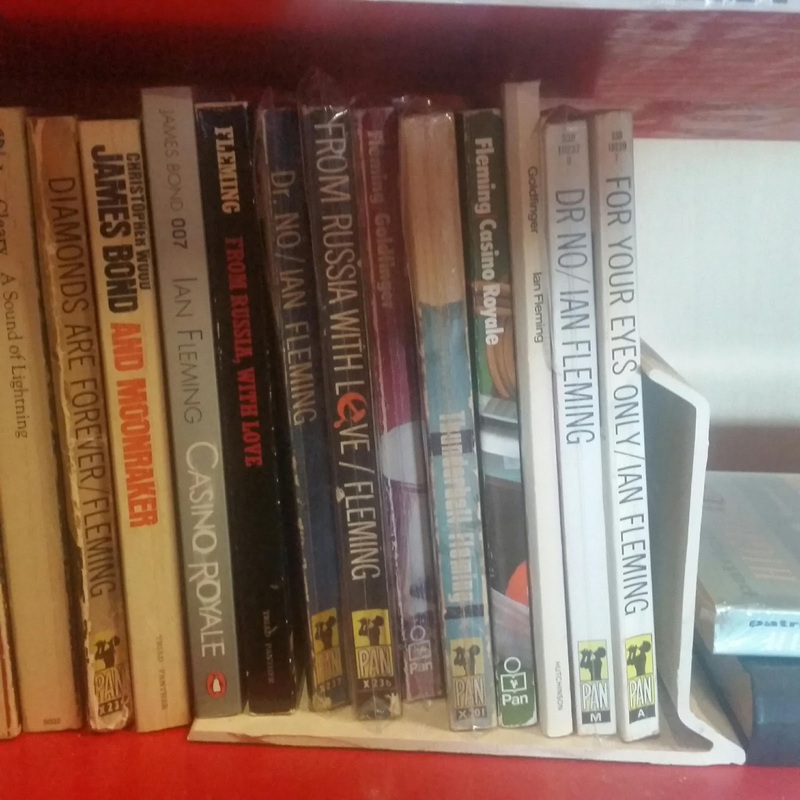 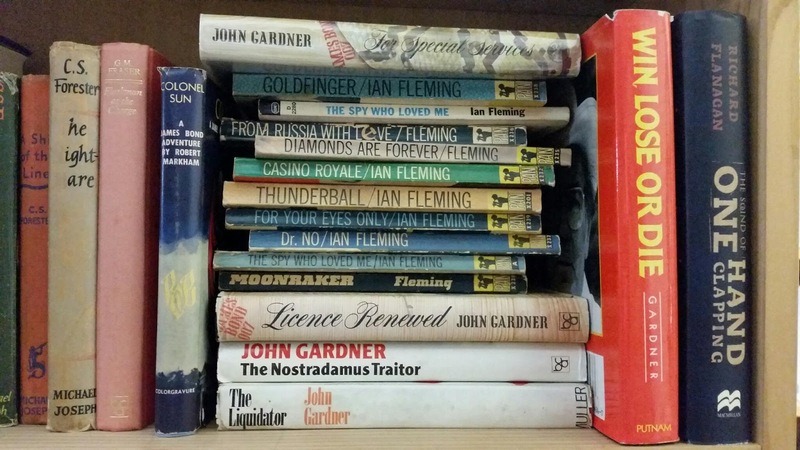 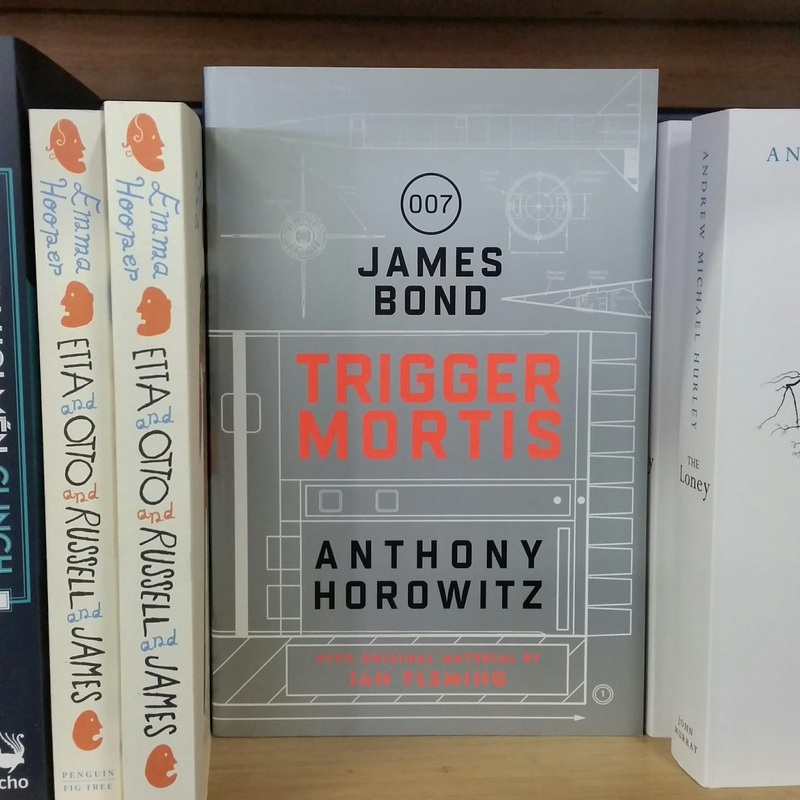 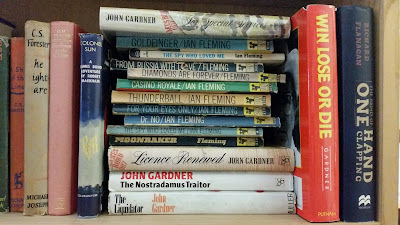 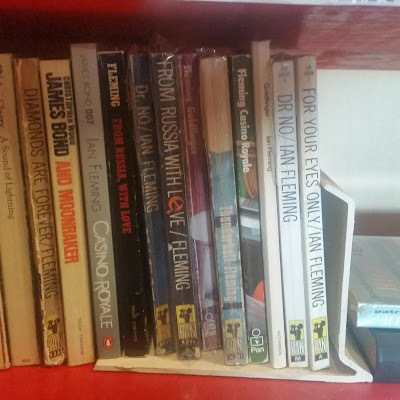 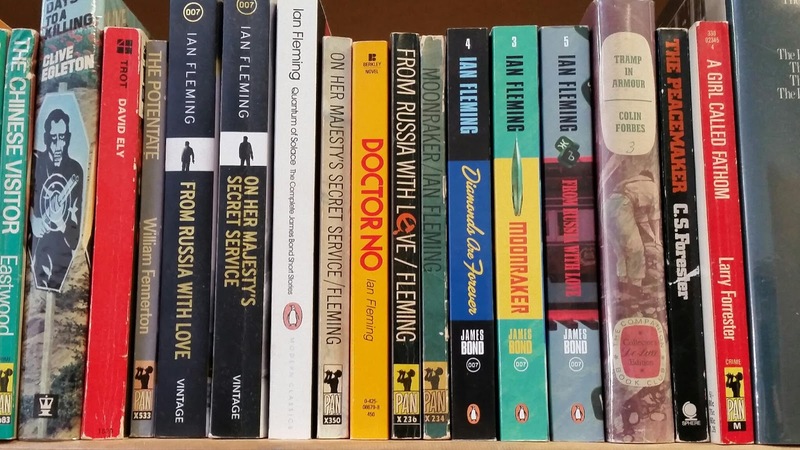 When I asked about the James Bond books on the shelf upstairs he said he wasn't aware of any new acquisitions. I checked and he was right. The second store we visited was Sainsbury's Books in Camberwell. 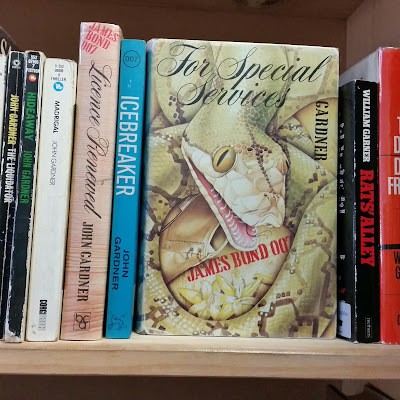 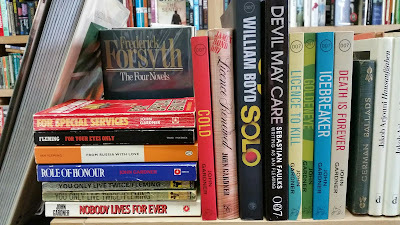 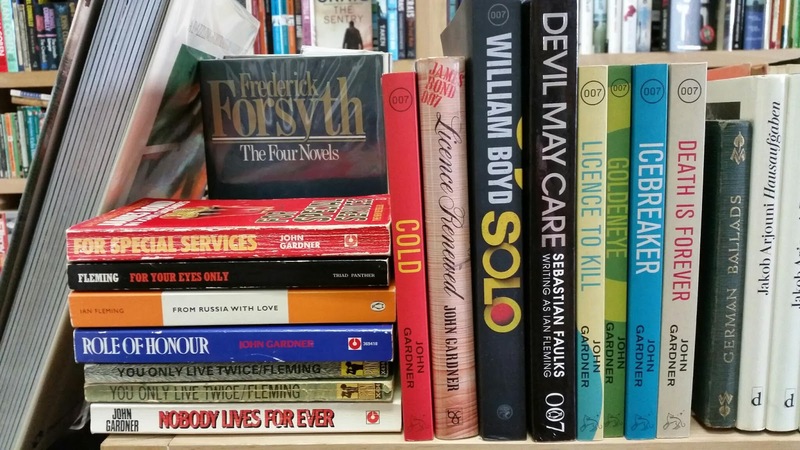 There were a couple of Bond paperbacks on the shelves but unfortunately I had them both. 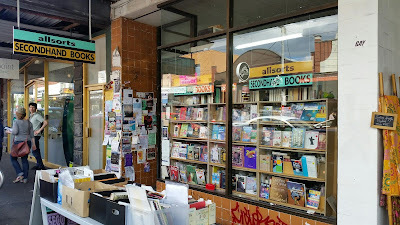 Always a nice store to visit though. 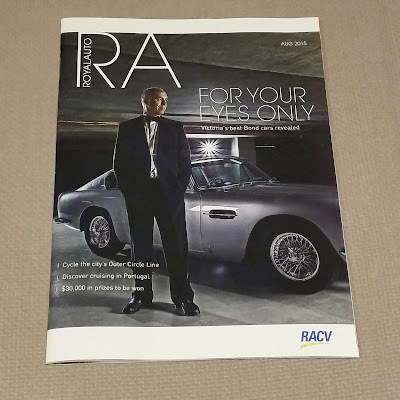 And finally here's a photo of the cover of last months auto-club magazine; RACV's Royalauto. 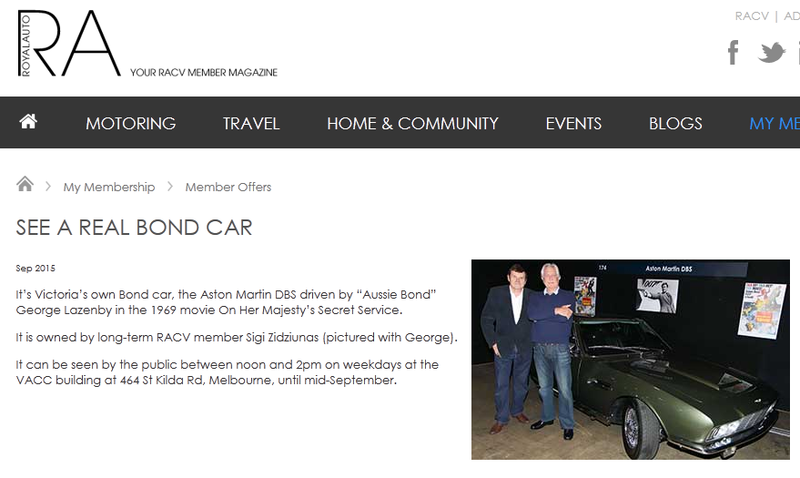 They did a special feature on James Bond vehicles with the RACV staff selecting their favourite vehicles from the films.